The first time I stayed in the pretty village of Le Bec Hellouan the voie verte came as something of a surprise. I came across it whiole striking out across the green Normandy countryside on a run and took it in a southerly direction, towards Chateau d’Harcourt, covering several traffic free miles past lush meadow on a lovely even surface, shaded by trees. The voie verte is part of a former railway line. At present it runs for some 25 miles from Pont-Authou to Evreux via Le Neubourg. But there are plans to extend it to the northwest, as far at Pont-Audemer. 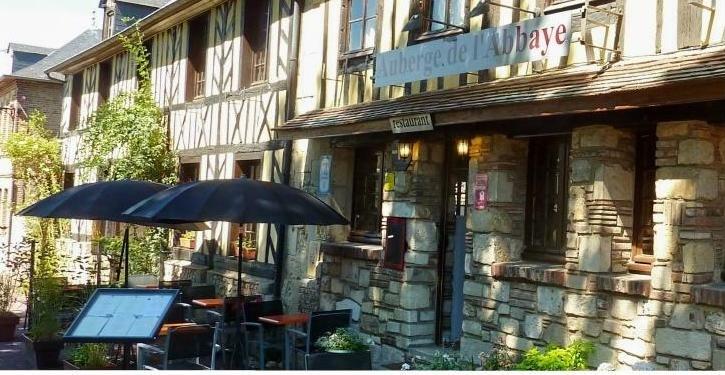 If you take bikes with you to France or – like me – pack the running shoes wherever you’re going, l’Auberge de l’Abbaye in Le Bec Hellouian is a lovely place to stay. A comfortable day’s drive from Calais it’s a creaky, 18th century property set back from a quiet main street. Its ten rooms have renovated bathrooms and free wi fi. A three course dinner – which could include asparagus in pannacotta, roast veal with peach sauce and a dessert – for around £20. A stone’s throw away is the Abbey de Notre Dame du Bec, founded in 1034, which supplied two Archbishops of Canterbury in the 11th century and had provided Bishops of Rochester and various abbots to English religious institutions. 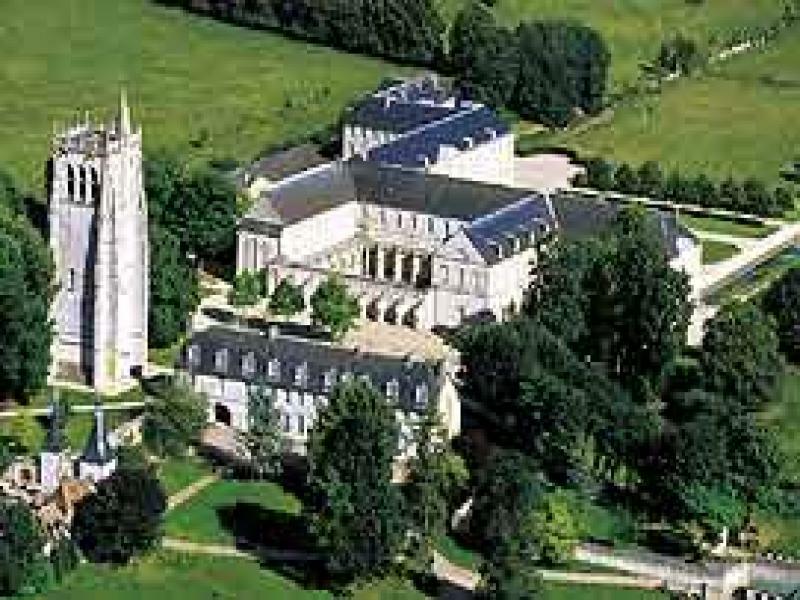 You could pedal gently to the medieval Chateau d’Harcourt, venture a little further to the magnificent 17th century Chateau du Champ de Bataille or go all the way to Evreux with its enormous cathedral dating from the 11th century.